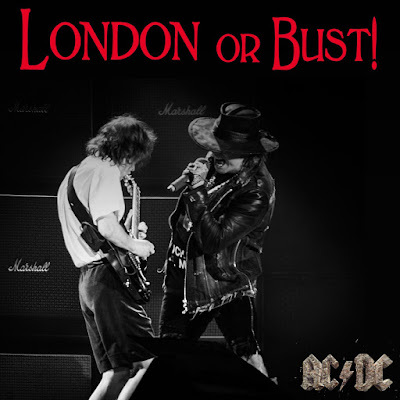 Axl Rose and AC/DC continued the Rock Or Bust world tour at The Stadium at Queen Elizabeth Olympic Park in London, UK on June 4. Rose’s GNR bandmates Slash and Duff McKagan were on hand to watch their singer perform with the Australian rockers as fan speculation over a possible guest appearance surfaced once Slash was spotted in the nation’s capital ahead of the concert. Three shows remain on the spring European run, which wraps up in Dusseldorf, Germany on June 15 before Rose will rejoin GNR for a summer stadium tour of North America that begins June 23 at Ford Field in Detroit, MI. Rose and AC/DC will next perform at Etihad Stadium in Manchester, UK on June 9.